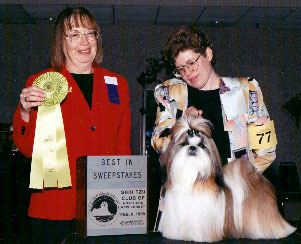 Madrigal's Making my Point takes his first Major, his first weekend out with handler Patricia Martello, Springfield Kennel Club November 22, 1998, under well known judge Dr. Robert J. Berndt. 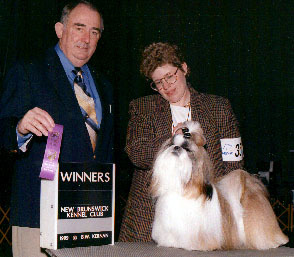 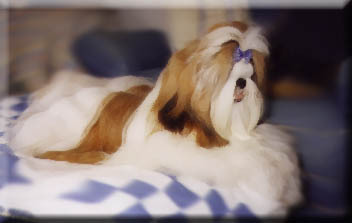 That same weekend he was Winner's Dog under judge Desmond J. Murphy at the Windham County Kennel Club. 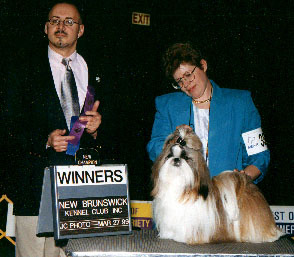 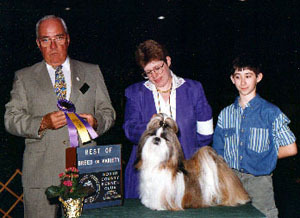 Pointy shown here winning Best of Breed under judge Ray Filburn at the Bay Colony Cluster Middlesex County Kennel Club. 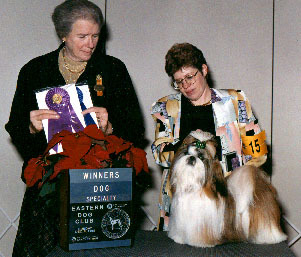 Our Pointy finishing his Championship.